Michael Sheen has just launched the End High Cost Credit Alliance. The actor has supported various charitable causes over the years and is now leading this effort to support alternatives to high cost credit which has increased in recent years, not least in his hometown of Port Talbot in Wales. The alliance was formed because those on the lowest incomes pay the most to borrow money, even where they are borrowing for essentials. Those on higher incomes can generally borrow at lower rates for luxuries like holidays and high-end consumer goods. The alliance aims to debate the changes needed to deliver healthy credit, offer solutions, and provide the resources to test them out locally and at scale across the UK. It collectively calls for changes to policy, regulation, and practices to make credit fairer for all. This is a growing problem. Research at the Centre for Household Assets and Savings Management at the University of Birmingham has shown a massive increase in lending over recent years. Our latest financial inclusion monitoring report shows that credit card lending is now at a higher level than at the peak of the financial crisis in 2008. But those on the lowest incomes are much less likely to borrow on credit cards or get personal loans for new cars. Instead, they turn to alternative lenders such as payday lenders, rent-to-own, and home collected or doorstep lenders. Often this is to pay for basic items such as school uniforms, nappies, white goods and sometimes even food, and to tide them over between jobs. Or when their wages are lower than expected due to zero hour contracts and casual work. These alternative lenders typically charge far higher rates of interest than mainstream lenders. For example, in 2016 the charity Church Action on Poverty highlighted the cost of buying a fridge freezer from BrightHouse, a large weekly payment retailer with shops on many local high streets. The total cost was £1,326, which included the purchase price of £478.33, interest of £658.74, and various warranty and delivery charges. The exact same fridge freezer, bought through Fair For You, a not-for-profit Community Interest Company, would have cost a total of £583.68 (including the purchase price £373.99 and interest £120.38). In the last few years stronger regulation of high cost credit has been introduced. 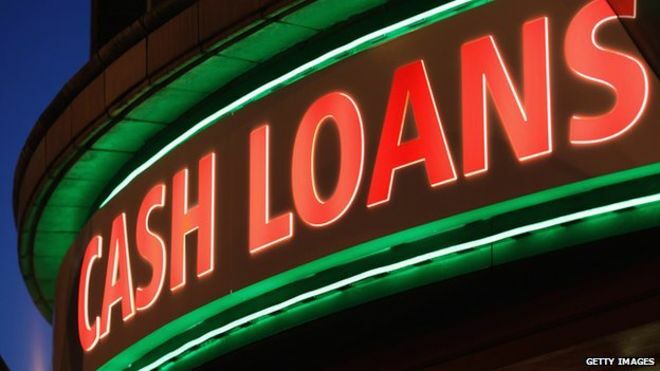 The Financial Conduct Authority regulator introduced a series of reforms in 2014-15 to tackle irresponsible lending, including a price cap on high-cost short-term credit, which has helped to reduce the cost of payday lending. Then, in October 2017, BrightHouse was ordered to repay £14.8m to nearly 250,000 customers after the FCA found it had not properly assessed a customer’s ability to repay – and they would now be compensated. Those on lower income are riskier to lend to. So what did you expect? That the lender ignore the risks? But why would the lender do that? Altruism? Charity? Or that the government to subsidize lending (such as guaranteeing a loan)? These are economic realities and no political jumping through the hoops can address. Welcome to the real world.